The TSA has joined forced with the Metro Transportation Authority and have begun to roll out scanners at subway stations. Los Angeles, CA — For years, those who have been paying attention to the ever-expanding police state that is the United States, have been warning of the slippery slope of TSA expansion. For years, these same people warned that TSA would soon be present at bus stations, malls, and subways. And now, this has begun to happen. For now, the scanners will not be deployed like they are in airports in which travelers wait in gruelingly long lines only to be exposed to radiation and groped by the infamous blue gloves one by one. Instead, the Thruvision machines, coming in at $100,000 each, will scan every single passenger as they walk through the machine and pick up on the waves emitted by the human body. Because they rely on those waves emitted from the human body to reveal hidden objects, these scanners can only detect things that people are carrying on their person. In the case of terrorism prevention, that would be suicide vests or maybe pipe bombs (like the one used in an unsuccessful attack near the New York Port Authority Bus Terminal in December 2017). A would-be terrorist with any kind of guile could get around this security precaution by simply carrying an explosive device in a backpack. 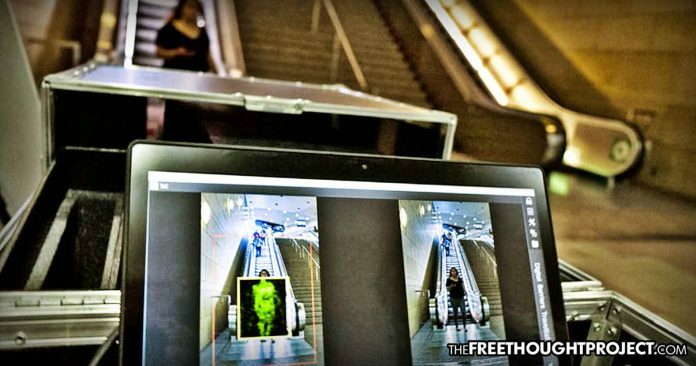 The scanners are merely one more step toward a totalitarian state in which Americans are intimidated as they attempt to travel freely—and their ineffective nature highlights this perfectly. Nevertheless, the TSA is taking this landmark police state measure and using it to pat themselves on the back. But fret not free Americans, the TSA will likely be coming to a bus station near you to employ their $100,000 scanners that can’t even stop a bomb in a book sack, but that give the impression that the all seeing eyes of the state are everywhere—a move far more powerful and influential than any terrorist detonating an IED in a bus station.